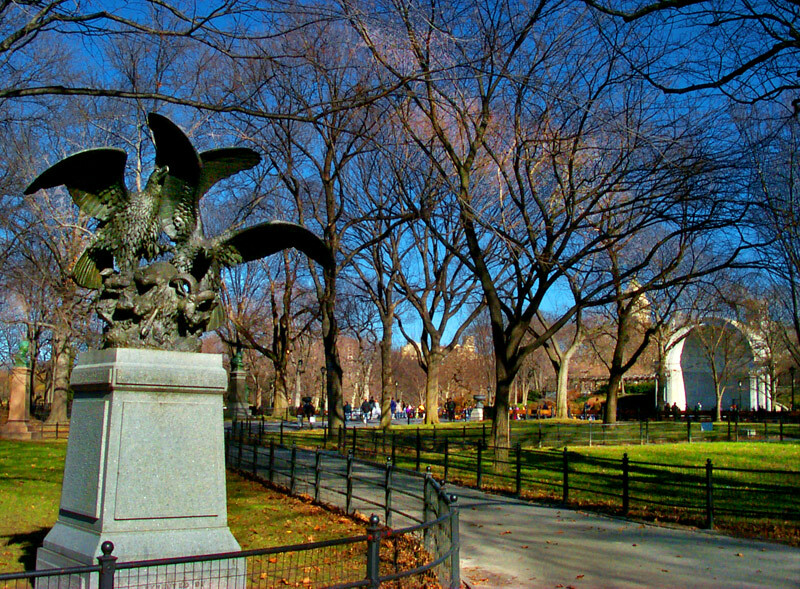 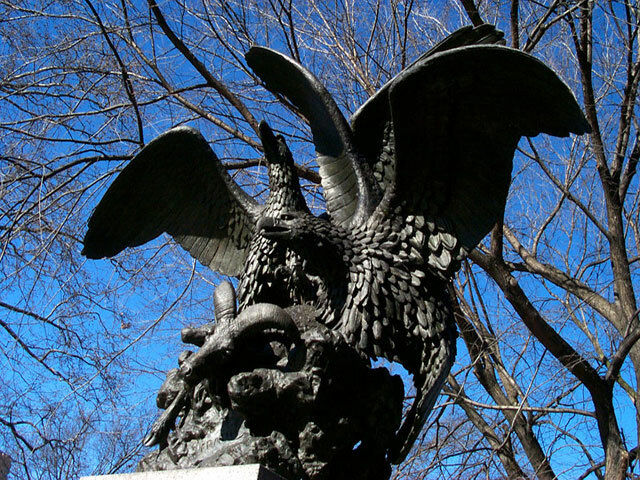 Miami In Focus Photo Gallery of the Eagles and Prey C69 Statue in Central Park. 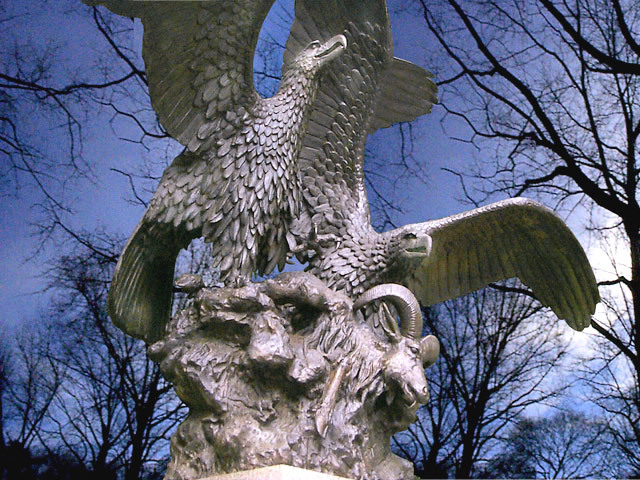 On a path near the Mall next to Center Drive, a powerful display of bird behavior is depicted in the statue of Eagles and Prey. 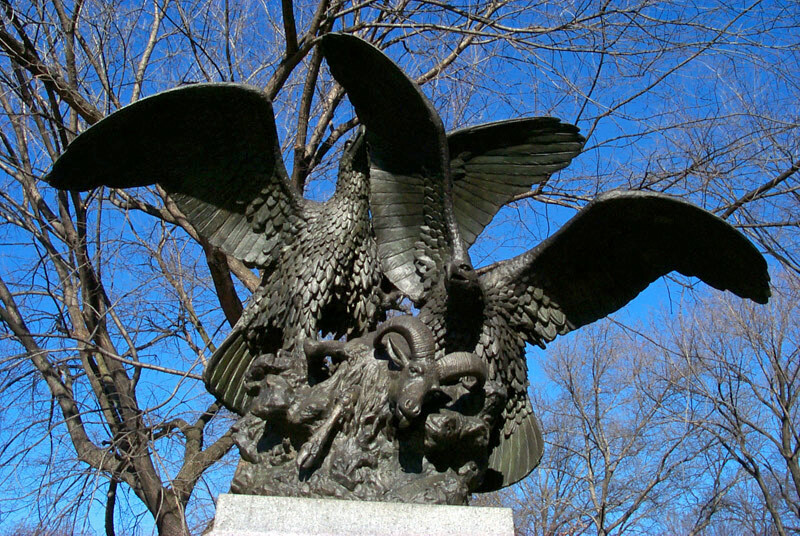 Two large eagles with wings spread open swoop down for the kill as they claw into a trapped goat.